The Apple Watch will launch some time in April, and developers are already working on apps for the release of Apple’s new smartwatch. 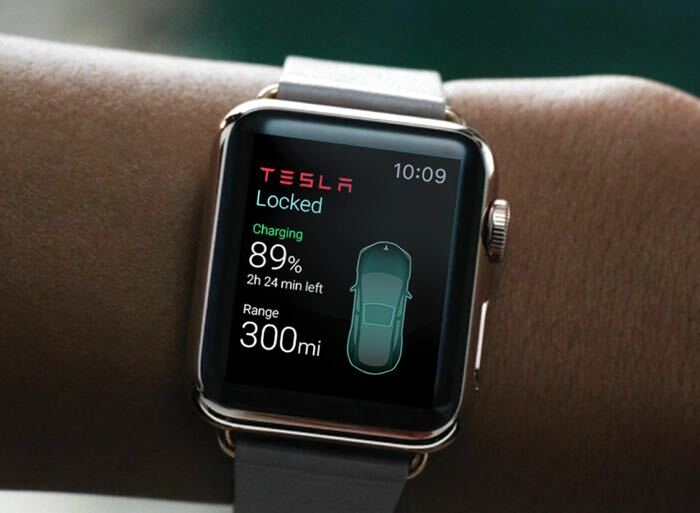 Now one developer, Eleks Labs has shown off a new Tesla app for the Apple Watch, and it can be used to unlock and lock your Tesla and perform a number of other functions. The new Tesla app for the Apple Watch will also allow you to check the battery level n your vehicle, you can also control the air conditioning and turn on the cars headlights, have a look at the video below. It certainly looks very interesting from the video, although the developers had a number of issues creating their app with the current SDK, and are waiting for the new version of the WatchKit software to improve their application. Apple have yet to give an official release date for their new SmartWatch, all we know is that the company will launch the device some time in April.